Wisdom Capital is one of the evolving discount stockbrokers in India. The major value proposition it has to offer its leverage across the trading segments, especially when it comes to Intraday trading. Of course, being a discount broker it provides low-brokerage trading as well but leverage is definitely a bigger differentiator. Let’s chalk down some more details about this broker in this review. Although Wisdom Capital is a discount stockbroker, it has an offline franchise coverage in 250 locations across the country, thus, supporting both online trading as well as broker supported trading. As far as the brokerage is concerned, Wisdom capital charges a fixed periodic fee (more on that later). There are multiple brokerage plans offered at trade, monthly, yearly and lifetime level. Further, the broker is known to provide high exposure values across the segments. Wisdom capital has almost no focus when it comes to developing and maintaining their in-house trading platforms. 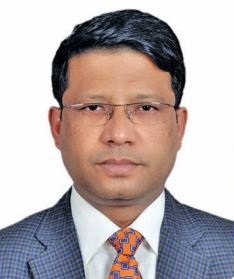 They rely 100% on the softwares by stock exchanges and thus, in a way shy away from one of the major responsibilities of setting up a brokerage house. Interactive Charting with multiple indicators at an intraday, comparative and historical level. NEST is known to be one of the most mature trading platforms with an exhaustive number of features, multiple setups for your technical or fundamental analysis. The user experience of the application, however, can be improved to an extent. Furthermore, this trading platform is a 3rd party software and is not maintained or developed by Wisdom Capital. Live reports with information on highest gainers and losers, advances or declines in stock values with layouts for last 52 weeks. Like in the case of NEST, this application is also a third-party software and is not maintained by the discount stock broker. NSE Now is again a trading platform from NSE except the fact that this is a web trading application and is responsive in nature. Users don’t need to download or install this application but can directly access it as well. Registered clients get login credentials before they start trading with Wisdom Capital. The application is compatible across browsers and users can access it from anywhere be it desktop, mobile, tab or laptop. 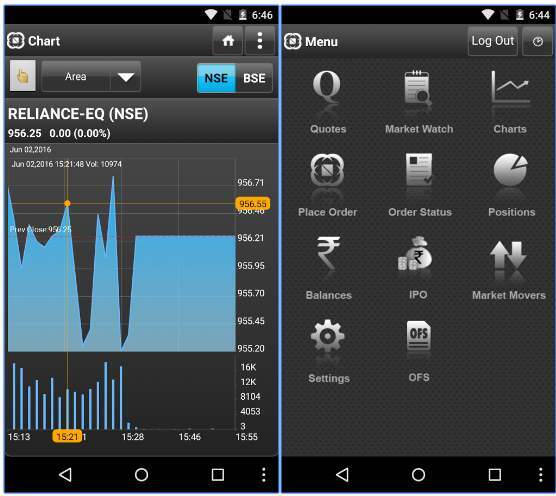 For users who prefer to carry out their trading through a mobile app, the discount stockbroker provides the NSE Mobile App. 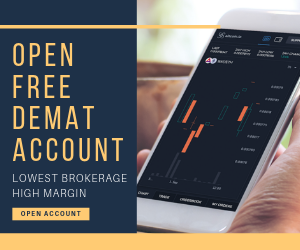 Like most of the trading platforms offered by the broker, this app is also an outsourced trading application and is maintained by NSE itself. Charting and technical indicators available for fundamental and technical analysis. This mobile app is used by multiple stockbrokers who either don’t have a mobile app of their own (such as Wisdom Capital) or their own mobile app is low performing. The number of communication channels is wide but customer service quality is pretty ordinary. The discount broker can certainly work in specific service areas such as turnaround time, quality of messaging, the skill set of executives, hold time and the final resolution quality of queries raised by clients. A lot of users have complained about the professionalism of the executives where the general tone of communication is ‘salsy’ in nature. There are 3 plans offered by Wisdom capital to its clients based on their trading needs and habits. The most prominent one is the ‘Freedom Plan’ which is charged per trade, monthly and overall lifetime level. There is a Pro plan that stays at trade level itself and charges ₹9 per executed order. Then, there is the Ultimate plan where clients are charged a percentage commission of 0.01%. Use this Wisdom Capital Brokerage Calculator for complete charges and your profit. As per industry standards and the norms set up by Wisdom Capital charges relatively higher brokerage charges from its clients across the segments. Thus, be wary of all kinds of charges and make sure to have a detailed discussion on all kinds of charges levied on you before you open the account with the broker. 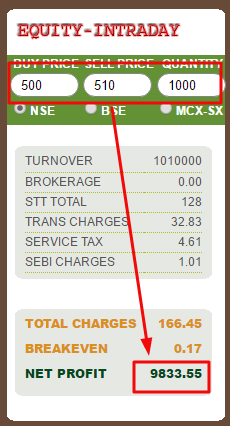 Just to provide you with an idea of how the overall charges are calculated by Wisdom Capital, let’s take an example. We would like to mention here that Exposure is a risky concept. Unless you understand how it works and what are its implications, our suggestion would be not to use it on top of your capital. Once you get an idea of how things go, you will be much more comfortable and safe while using it. Wisdom Capital does not allow clients to trade in few financial instruments such as IPOs, Mutual Funds, NCDs. No innovation in trading platforms. Limited trading and investment products offered. Low brokerage charges with the flexibility of plans so that clients can choose as per their preference. High exposure offered across segments, especially intra-day. Interested to open a Demat account? Enter Your details below and we will arrange a Free Call back for you. What is the account opening charge at Wisdom Capital? Account opening at this discount stock broker is free, be it demat or trading account. There is a one-time maintenance cost of ₹999 which is applicable till the time you keep the account open with the broker. Which Wisdom Capital brokerage plan is suitable for me? As shown above, there are multiple brokerage plans offered by this discount stock broker. It really depends on your trading frequency since all the offered plans are fixed price in nature. Thus, if you place a very few trades over the whole month, you can choose the default brokerage plan of ₹9 per executed order. 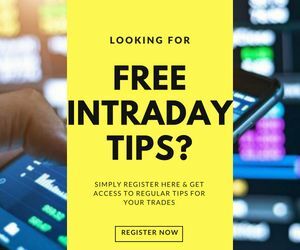 At the same time, if your trading frequency is pretty high across all the trading days of the month, in that case, you can opt for the monthly brokerage plan. Finally, if you have been trading for a while and/or look to trade regularly in the future, then the yearly plan suits your needs. Wisdom Capital is the discount trading arm of Ashlar Securities private limited, which has been around for a while. In fact, the broker itself is not listed on the exchange yet, it still is listed as the child company of Ashlar group (Ashlar was established in 1994). Thus, from the background perspective, Wisdom capital sounds fine. However, the broker certainly needs to work upon a few areas such as in-house trading platforms to prove its seriousness and commitment to its clients, increase and maintain its client base and customer service. Is it compulsory to open the Demat account with Wisdom Capital? No, it is not mandatory to open the demat account with the discount stock broker. You can connect your existing demat account with some other broker with the trading account with Wisdom capital. What is Wisdom Capital Trading School? 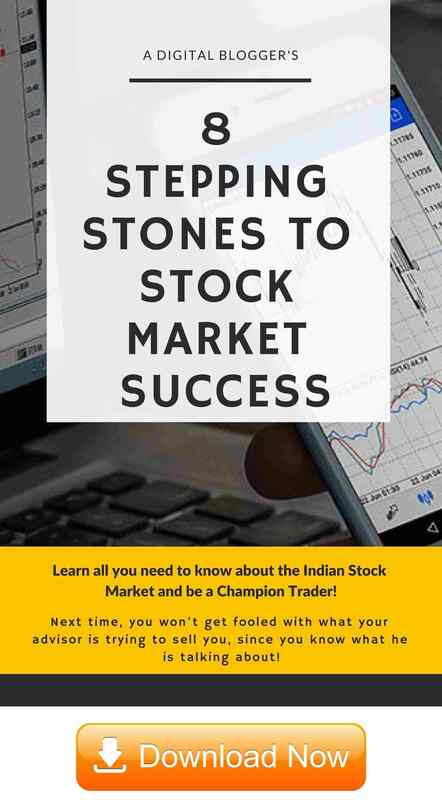 Trading School is an initiative by this discount stock broker where they hold classes in Delhi NCR region as well as Online. In these classes, registered users can learn about the basics of trading and investment. Further, there are 2 courses offered by the broker, the first one is for beginners with 3 hours classes over the weekends lasting 2 months. The course fee is ₹20,000. The second type, of course, is for day traders where live market trading is shown for a total of 50 business hours. This course is for 2 weeks and the pricing is disclosed on request. However, there are so many professional advisory and research firms out on the market. Thus, this particular initiative seems to be part of the crowd with no differentiating factor. Does Wisdom Capital have a mobile app? The broker does not have its own in-house developed mobile app for clients. However, it has licensed NSE Trading app, which is maintained by the technical team of the exchange (details mentioned above under the trading platforms section). How Wisdom Capital offers such high exposure values? Before we answer that, we would like to describe what exactly exposure is. Basically, its a short-term loan offered by a stockbroker such as Wisdom Cap, at a specific interest rate. Now, exposure values are generally provided by the brokers based on the trading account balance set by its clients. For instance, if there are 5 clients with each depositing ₹20,000 in their respective trading account balances, the overall capital with the broker becomes ₹1,00,000. Now, it’s up to the broker how much exposure it can offer to its clients based on the overall capital it has under control. Does Wisdom Capital provide any research or tips? No, like other conventional discount stock brokers, Wisdom Capital does not offer any research reports, recommendations or tips to its clients. It was really a bad experience for me today when the company Squareoff all my position (in 100%) at 12:31 PM. and Shares prices falls down continuously and reached below Rs 86. Whenever share price falls by 5-10 paisa, I am getting reminders/popup of MTM Margin above 75% etc and I also received a call from Support team (around 12:20PM) in which I clearly instructed him – that I will square off my position before 3:20 today which is normal company practice. My question is that: When I had clearly instructed to executive that I will clear it myself, then How can the company square off all my position at 12:27 PM (in between the day) by squaring off all my 100% position (390000 shares of Ashokleyland squareoff by HO). See the screenshot attached. Due to it, I resulted to a loss of Rs 8.15 Lakh rupees. After 12:30 PM, Share price.. reaches above Rs 86 many times and I will be in better position to square off my position. You can see the Share chart for more details. See screenshots attached (Share Price at 3:01 showing MTM Loss of Rs. 6.36 Lac, Share Price at 3:12 PM showing MTM loss of Rs. 5.58Lac, Share price at 3:15 PM showing MTM loss of 4.80 Lac, Share Price at 3:18PM showing MTM loss of Rs 4.61 lac, Share Price at 3:24PM showing MTM loss of Rs 4.41 lac, Share Price at 3:25PM showing MTM loss of Rs 4.22 lac, Share Price at 3:26PM showing MTM loss of Rs 4 lac). It clearly shows that if I square off my position manually or company will auto-squareoff as per their standard timings, My actual loss was below Rs. 5 lac but due to company auto-squareoff at 12:30PM (between the day), I resulted to actual loss of Rs. 8.14 lac. Who will compensate this loss difference (Rs 8.14 Lac – Rs 5 Lac = Rs. 3.15 Lac in total)? Also, If square off is really needed, then company can square off half of my position so that I will have half shares available with me to square off at better price and by doing so, company Margin percentage goes down below 50%. It really hurts me a lot when all of my investment gone to “zero” because of company’s silly mistake. I never forgive Ashlar / Wisom capital for this silly mistake and will highlight the issue with SEBI / Consumer Court / Social media. Can you please give me any Justified reason for why company squareoff all my 100% position at 12:30 PM and not waited upto 3:20 PM (which is normal company squareoff time)?